When you make the decision to build a J L Linder Group home, we provide you with our J L Linder Group Homeowner Manual, which serves as your "guideline" while your home is being built, and as a personal home care guide after you close on your home. While your home is being built, the manual will detail every stage of the construction process, as well as prepare you for every meeting that you must attend with your Personal Project Manager and your community's Sales Manager that will be taking place in the weeks after your contract is signed. Your J L Linder Group Homeowner manual has been designed to assist you through every step of the exciting process of building a new home. We ask that you read certain sections prior to your appointments to help the process flow easier. Because communication is a vital ingredient to customer satisfaction, The J L Linder Group Homeowner manual helps to answer many of your questions before, during, and after your home is completed. Frame Complete - All interior and exterior walls have been installed, as well as the roof trusses and sheathing. Windows & Shingles - Installation of the windows, roof shingles and even exterior doors has been completed at this stage. Ready for Drywall - Electrical, plumbing and HVAC systems have been installed and inspected and wall insulation has also been installed. Wood Trim & Interior Door Installation - This stage has been completed upon the installation of the interior doors and moldings. Cabinets & Countertops - All Kitchen and Bathroom cabinets and countertops have been installed at this stage. Painting is also being completed. Flooring Completed - All hard surface flooring (tile, hardwoods) , as well as carpet and vinyl flooring has been completely installed. Lighting and plumbing fixtures have also been installed. Project Manager Acceptance - Your personal Construction Manager has walked your home and has completed a thorough quality inspection. Homeowner Acceptance - Your new J L Linder Group home has been completed! 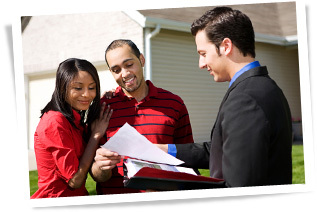 Your Construction Manager will walk with you through your home to present and demonstrate all of its features to you. You will be moving into your new home very soon!